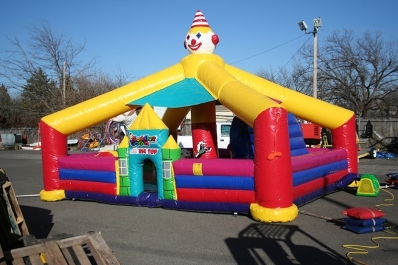 This colorful 20'x20' inflatable playground is a perfect fit for the toddlers at your event. Specifically for ages 18 months to three years, this bounce is a perfect place for parents to be able to watch their little ones while they take a dip in the ball pond, bounce in the bouncy stables, play mini hoops, slide down the three foot slide and play pin the tail on the donkey! Very safe and very fun!